Looking for something meaningful to do over our spring break? Please consider signing up to attend one (or both!) of AEA’s Days at the Capitol. There are two dates available during our break: March 12 and March 19. These are great opportunities to have direct conversations with your legislators and see the legislature in action (particularly the Senate Education Committee, which happens to meet on these days). There are also other days you can visit if you are available … check AEA’s website for full details. The legislative session is well underway, and we’re reaching a critical point where activity will be fast and furious. We need to make our voices heard and keep the pressure on our legislators to keep moving forward toward restoring funding for education. With all of the bills being considered, it can be tough to keep up, let alone advocate for our profession. Our Legislative Toolkit can help, giving you information on how to stay informed on what’s happening at the capitol and how you can make an impact on the process (including signing up for the Request to Speak system). Check it out today and become an education advocate! Our election has now concluded, and our delegates and alternates for the AEA Delegate Assembly and NEA Representative Assembly have been determined. Thank you to everyone who voted, and special thanks to our candidates who were willing to serve as delegates to these important functions! 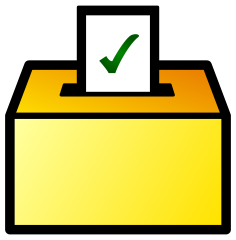 The full results of our election can be found on our election results page. Be prepared: attacks on our educator pensions are coming. Tonight, AEA is hosting an important information session so members can learn about their pensions and about AEA’s plan to fight back. Join us tonight at the United Food and Commercial Workers in Phoenix from 4:30-6:30 pm. If you can’t make it out to Phoenix, the workshop will available to stream online via Zoom. Either way, register today to attend (registrants will receive information on how to stream the workshop, as well). 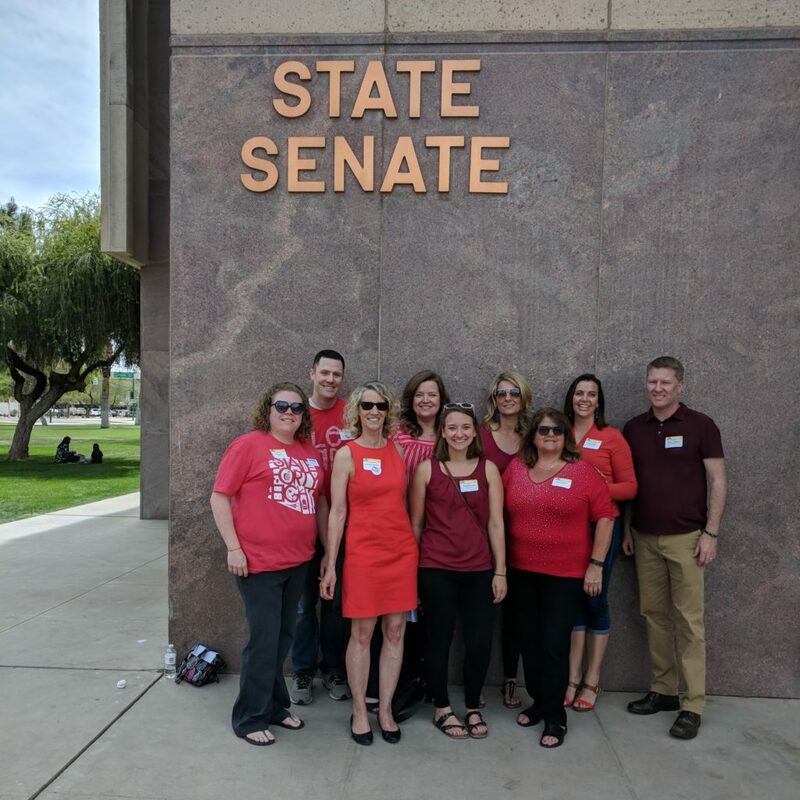 If you recall, one of the five #REDforED demands last spring was not to introduce new tax cuts until per pupil spending reaches the national average. Shockingly (or not?) 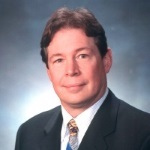 JD Mesnard is now sponsoring a bill to cut taxes before addressing the continuing education funding crisis. Arizona has the opportunity to put up to $230 million into public education funding. But rather than directing those additional revenues to better prepare for the next economic downturn or toward increased investments in our public schools, Senate Bill (SB) 1143 and House Bill (HB) 2522 will direct money toward a tax cut that will benefit the wealthiest Arizonans. It doesn’t make sense to cut taxes when we know Arizona’s students desperately need those funds. We need to take action TODAY to convince our legislators that this is a horrible idea. Contact your legislators and urge them to vote no on these bills. Have a site meeting and share information about the bills. Post on social media and tag your legislators. One idea: take a picture with a sign with the number four (for the 4th AEU demand) and write what your school could do with that money. 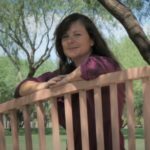 Use the AZ Legislature Request to Speak system to officially register your opposition to these bills. Get Ready for the Legislative Session! 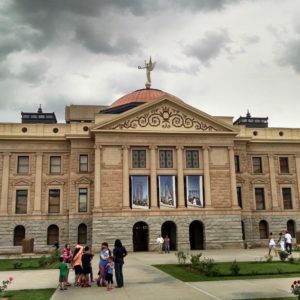 It’s time again … the Arizona Legislature is back in session. We made great strides last spring and worked hard to elect pro-education candidates in the fall … but we still need to be vigilant during this session to hold our supporters accountable and prevent bad bills from being passed (including those that are intended to punish us for speaking out). How can you help? We’ll be talking about lots of ways to help, but an easy one is to subscribe to the AEA Legislative Update. This subscription will bring you the latest news on what’s happening at the capitol (including ways you can take action) delivered to your inbox. Subscribe today, and stay tuned for more ways you can be engaged in what’s happening at the capitol. Governor Ducey gave his state of the state address this evening and was predictably vague about his plans for public education funding. Besides repeating his 20 by 2020 pledge, there was nothing new offered: no talk of increased funding beyond 20 by 2020 (which still leaves our schools well short of 2008 funding levels), and no discussion of identifying a dedicated funding stream for public education. This isn’t acceptable. Our students and our schools deserve better. 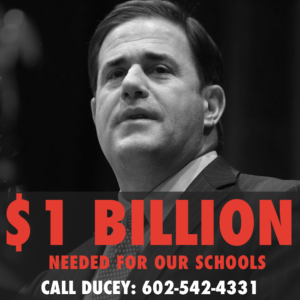 Please call Governor Ducey at 602-542-4331 and tell him that we need a bipartisan solution on education funding during this legislative session. Visit this site for more details and ideas on what to say in your call. 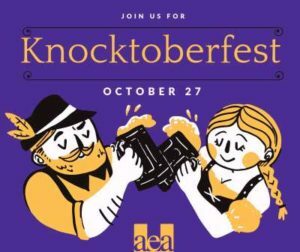 Join CEA and other East Valley local education associations for #KNOCKtoberfest this Saturday as we canvass for pro-public education candidates Steve Weichert and Jennifer Pawlik in Legislative District 17. We will also be canvassing for Bob Rice and Lara Bruner, our recommended CUSD Governing Board candidates. These are crucial elections for our district, and every vote matters! We will be meeting at Tumbleweed Park in Chandler at 9:00 am near the Recreation Center. Look for our staging location with the political signs. After canvassing ends at 12:30 pm we will be heading to SanTan Brewing in Chandler for KNOCKTOBERFEST! SanTan Brewing will be providing happy hour drink discounts for teachers! Be sure to bring your school ID to receive your discount! Get full details on our Facebook event page. This November, there will be an election to fill two vacant CUSD Governing Board seats. Although there are many excellent candidates, and we look forward to partnering with any of them to meet the challenges our district faces, our CEA PAC has decided to recommend two candidates who we believe rise above. The CEA PAC is proud to recommend Lara Bruner and Robert Rice for CUSD Governing Board. Bob is a current member of the board who has done a great deal to make CUSD a top school district in the country, while Lara is a lifelong educator and advocate for all students, as well as a parent in the CUSD community. If you live within CUSD boundaries, be sure to make an informed vote in this important election! Visit our Governing Board Election page to see video of the CUSD Governing Board Candidate Forum and to read answers from all candidates to a CEA-created questionnaire.